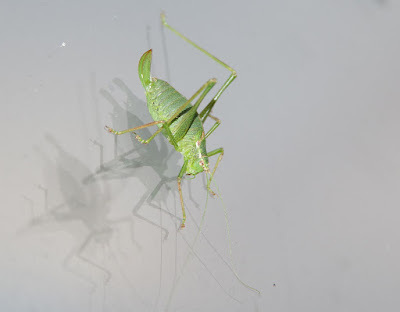 This morning as I was cooking breakfast, I saw this delightful cricket looking in at me! Yesterday, as Linda and I were walking along the coastal path at Horsey we noticed the usual black bags filled with dog cr*p every ten yards. At a time when many more people are becoming aware of the disastrous impact implicit in the over-use of plastic, perhaps it's time to stop making / selling these bags, but start imposing huge fines on people who let their pooches cr*p everywhere. I mean HUGE! !